Fairfax County School Board Member Pat Hynes wonders if Dems are better off, morally and politically, cutting Northam loose. Has Northam "learn[ed] and use[d] his position to further the cause of equity and reconciliation?" Northam has called for an investigation into his own scandal, one aimed at determining the origin of the yearbook photo. The image shows one person in blackface and another in Ku Klux Klan garb. Northam initially apologized for appearing in the picture, but a day later he said it wasn’t him. He vowed to identify the people in the photo, suggesting that facial recognition software might help. There was talk of hiring a private investigator. The status of those efforts is unclear. “I don’t have an update,” Yheskel, the governor’s spokeswoman, said recently. I sympathize with this effort, though I won’t be in town to join the protest. 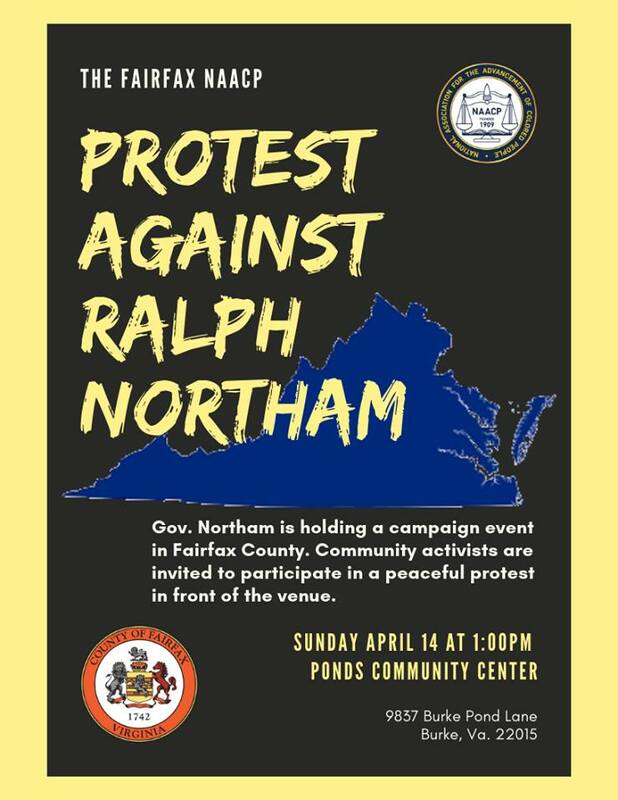 Ralph Northam is still in office, in spite of serious, substantially unaddressed concerns about lost trust with the African American community. To those who’ve said he should have a chance to redeem himself – to prove that he will learn and use his position to further the cause of equity and reconciliation – have we seen that yet? Has he intervened to stop the pipeline going through Union Hill? Has he ordered the removal of Confederate statues on state land? Directed the Secretary of Education to fix the history curriculum? Has he done anything differently, or is he just hoping the passage of time will heal the breach? In my opinion, he asks too much and gives too little. What of our solidarity as Democrats? Our commitment to making right what’s been grotesquely wrong about Virginia for its entire history? Truth is, we can raise money, knock doors, and get elected without Mr. Northam in the room. In fact, I wonder if that isn’t the surer way to victory in 2019. I largely agree with this. What do you think?